This is my smoker setup. I use a Brinkman® electric smoker with a SmokePistol tm. These two components are not made by the same company, but they work well together for making pastrami. 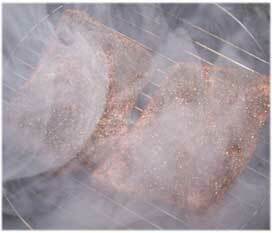 The reason is that to make pastrami you will have to cold smoke and hot smoke. You also need to have a consistent source of heat and smoke. The electric smoker gives you the consistent heat and the SmokePistolTM gives you great smoke and lets you cold smoke as well. So here it is. The first thing you need to know about making pastrami, is that pastrami is nothing more than smoked corned beef. So what is corned beef? Corned beef is basically a salted brisket. It is an old fashioned way of preserving beef. 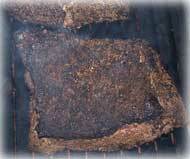 The beef brisket is salted on both sides heavily and left in a cold environment for several days. The salt penetrates into the meat preserving the meat and making it corned beef. To make pastrami, you start with a corned beef. Do not trim the fat. Coat both sides heavily with garlic pepper, then coat again with fresh cracked pepper. Now place the corned beef into the smoker, fatty side up, without heating the smoker. Start a hickory cartridge and get it going in the SmokePistol™. Cold smoke the corned beef for about 5 hours. Note: smoking meat is in risky deal however, corned beef is pretty well preserved with salt and the addition of garlic pepper and pepper on the outside helps keep the meat from spoiling. It will also help if the meat is good and cold when you start the cold smoking and if you do this at night or when it is cool outside. After cold smoking for about 5 hours, heat the smoker to about 225, insert another hickory cartridge into the SmokePistol™ and smoke the corned beef for another five hours. After cold smoking the corned beef for 5 hours, place the corned beef, fatty side up, on a piece of aluminum foil and fold the aluminum foil up making a tent. 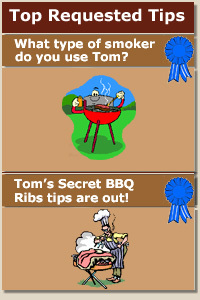 Cook the corned beef for an additional 5-6 hours in the smoker while being wrapped loosely in aluminum foil. You can now trim the fat and enjoy.